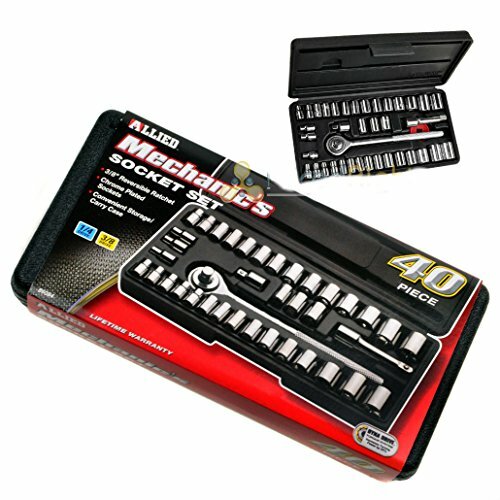 40 PC Mechanic's Socket Set This is a great 40 piece socket set that works well with general automotive repair and maintenance. This set works well with 1/4" drive, and 3/8" drive. 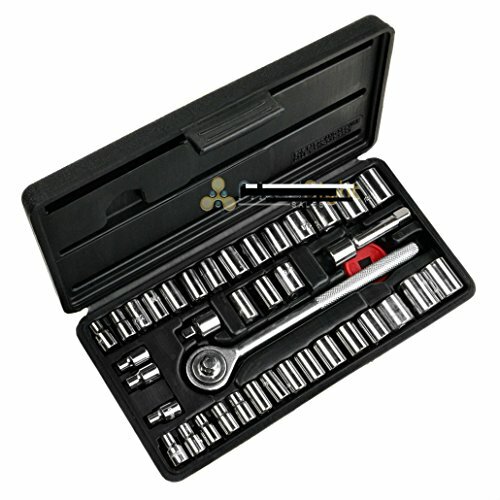 This set includes Metric and Standard size sockets, extension, reducer, and reversible ratchet. Easily store and organize these sockets with the hard plastic case that is included. Store it in your car, office, garage, tool box, or anywhere you may need access to these.